Is there any winter clothing able to combine style, tradition and comfort more than a made-in-Italy loden garment from Trentino Alto Adige? 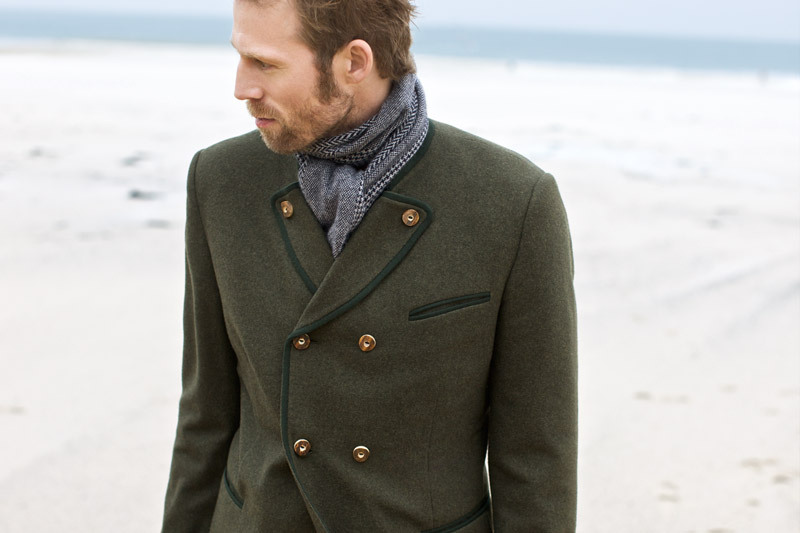 Loden fabric originated from Tyrol and South Tyrol where it was woven from coarse grade wool. The origin of the word "loden" is the Old High German word "loda" meaning a "coarse woollen cloth". It is a thick and heavy fabric made from the fleeces of mountain sheep. It is a soft and durable fabric also resistant to water because of the oily and coarse rough wool of mountain sheep , which prevents water penetration. It is also windproof and generally used for outerwear. Loden was known throughout the world primarily for its use in traditional costumes. But today, people have started to see that loden is a versatile material suitable for all kinds of clothings. People on the Dolomites and Tyrol have been making loden for many centuries. In the Middle Ages, farmers used the wool from their sheep and processed it into loden to make material for their own clothes. The original color was gray as the raw wool of their sheep (Tyrolean sheep). Records from the year 1060 show that church dignitaries and secular landowners were accepting loden as rent in lieu of money and this in turn led to a brisk trade in the fabric. The fabric became fashionable when the Mössmer loden factory in Pustertal, South Tyrol, crafted a white coat for the Emperor Franz Josef with the addition of merino wool. It is indeed thanks to Archduke Johann and Emperor Franz Josef that loden became a popular fabric, which was both suitable for hunting and also socially acceptable. Its color was gray-white, red, black, and finally, forest green, which is the most common these days. Loden has remained loden for a thousand years or so. But it is no longer the coarse fabric it once was. Now loden is soft, light and fashionable, thought its production methods are still faithful to the guiding principles of traditional craftsmanship. Thanks to its breathability and its waterproof loden is sometimes called "the Gore-Tex of the Middle Ages". To produce Loden fabric, strong yarns are woven loosely into cloth which then undergoes a lengthy process of shrinking, eventually acquiring the texture of felt and becoming quite dense. It is then brushed with a fuller's teasel and the nap is clipped, a process which is repeated a number of times until the fabric is lightweight, supple, windproof and extremely durable. The Mössmer Tuchfabrik AG is today one of the few textile companies still manufacturing in fully integrated production – from wool to high-quality fabrics. 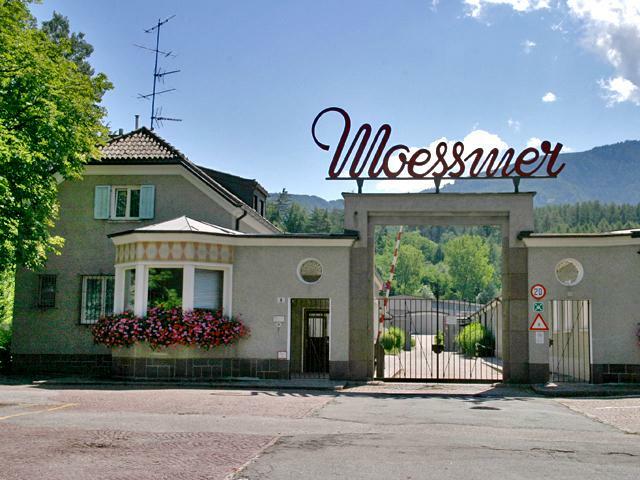 As one of the oldest industrial company founded in 1882 in Pustertal, South Tyrol, Mössmer has been producing at the Brunico (Bruneck) site since 1894. Over the years, the strength of its innovative ideas has made Mössmer purveyor to the Habsburg court at the turn of the century and makes it today the supplier and partner to some of the most important fashion labels. The company is creative partner and supplier to premium fashion labels such as Prada, Etro, Brunello Cuccinelli, Armani, Dolce&Gabbana, Louis Vuitton. In 2010, the development and start of production of the first and only premium loden with the highest fire protection classification, marked Mössmer new work in interior design. Another historical manufacturer in the Bolzano area is Oberrauch Zitt. A fabric store opened in 1846 by Anton Oberrauch under the portici in Bolzano was the first step towards becoming one of the largest fashion house in South Tyrol specialised in the production of high quality “Loden Bolzanino”. Today the traditional Oberrauch Zitt Tyrol style clothing are manufactured in the workshop of the company that has been set up in the Loden Museum “Lodenwelt” in Vandoies (Vintl), a town in South Tyrol, about 45 km northeast of Bolzano. You can visit Lodenwelt, where visitors have the opportunity to follow “la strada della lana” (the path of wool) from the shearing process to the manufacturing of clothing, and have lunch at the museum’s restaurant Lodenwirt for a taste of local specialties. *From September to June, from Monday to Saturday 9.00am – 17.30pm. *July and August, from Monday to Saturday 9.00am – 18.30pm.